The post What are your musical highs and lows from the past year? appeared first on DIY Musician Blog. 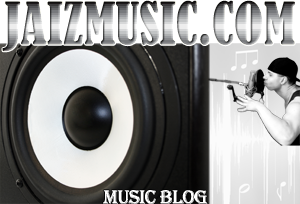 The post How to make money from your music on Facebook appeared first on DIY Musician Blog. The post How being in a band changes your life appeared first on DIY Musician Blog. The post What is the most important Spotify playlist? appeared first on DIY Musician Blog. The post A quick look back at the DIY Musician Conference EU appeared first on DIY Musician Blog. Is it worth advertising on Spotify? The post Is it worth advertising on Spotify? appeared first on DIY Musician Blog. The post How to make a legit music video: advice from Wons Phreely appeared first on DIY Musician Blog. The post Leave ‘em wanting more (instead of wanting you to get off the stage) appeared first on DIY Musician Blog. The post 3 things every musician should remember, no matter where you are in your career appeared first on DIY Musician Blog. The post How to promote your album with a podcast appeared first on DIY Musician Blog.